"Thanks for coming." said one of the staffers whom I met at the end of a press conference I attended some times ago. While it is always a pleasantry to receive such greeting but for that particular time I found it awkward or rather uneasy to receive such acknowledgement. Usually, the press conference of that nature would see a decent turnout from the media to cover the event, whereas it was not the case when I was there and I could easily count the number of those reporters who were there. To make things more intriguing was the absence of representation from several notable players of the field to cover the announcement which they usually would. If this is going to be the typical scene in the subsequent weeks to come, it should be something of a concern to local football officials for such a lukewarm response from the media, especially of those from the big players. 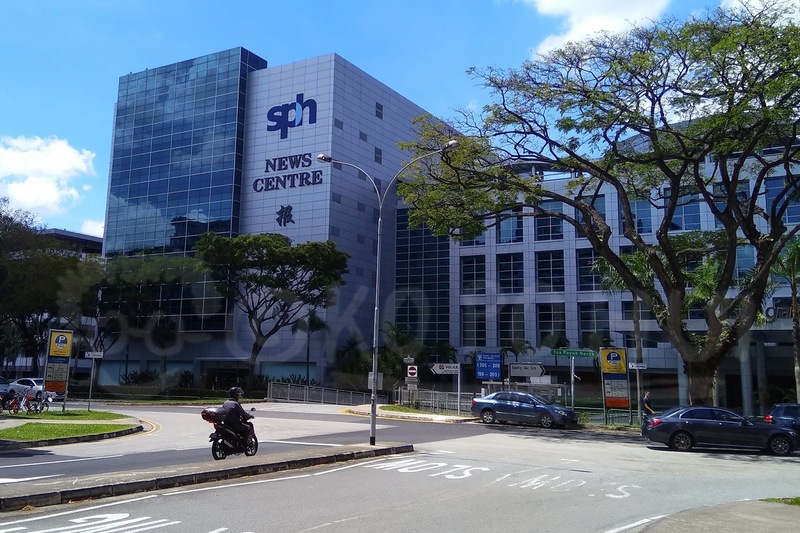 The recent restructuring of both MediaCorp (source:1, 2) and Singapore Press Holdings (SPH) could have played a part in this trend when some may have noticed the reduced media coverage on the local scene by both media giants on their platforms with MediaCorp took a step further to shut down the printed publication of TODAY which effectively closed down its sports section. The absorption of The New Paper's (TNP) sports section into the broadsheet Straits Times' (ST) Sports Desk over at the SPH stable is probably one of the reasons why the drastic reduction in media coverage over the past year. "Not just (local) football, other sporting events like the WTA (Women's Tennis Association) tournament, Masters' Football, etc. had witnessed lesser media interest (since the media restructuring)," said a former Football Association of Singapore (FAS) media officer whom I spoke to. He added:"Because of this new (mainstream) media landscape, sports coverage has taken a back seat with priority given to more pressing issues like transport, security, housing, utilities, etc." 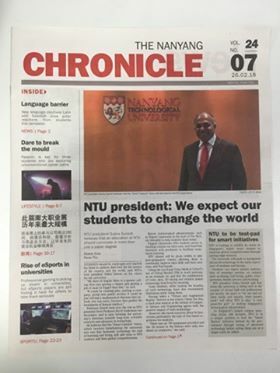 To address this problem, one solution offered by this former media officer is to reach out to one untapped spectrum of the media - school publications managed by students like Nanyang Chronicle of NTU (Nanyang Technological University). "People always talk about the young in football on the pitch and for the fans, they forget that it can be done for media too...and young people may like to read what their peers write about." opined this former officer who requested not to be named. 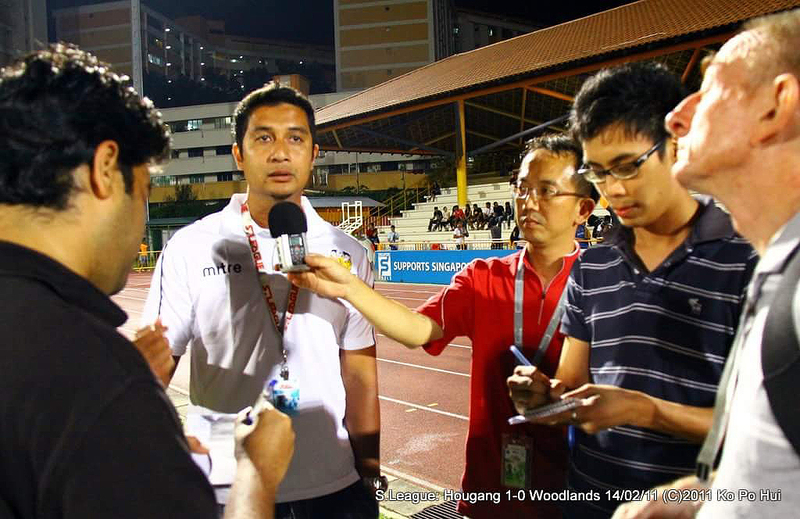 "(Just) like what they did with the photographers, clubs and FAS should also work with student papers, newsletters in universities, tertiary institutions by send budding reporters (to) cover matches or events related to Singapore football in order to reach out to more young people out there." On top of that aforementioned suggestion, the clubs or the local game governing body to take a more proactive approach in their engagement with the media by pitching a story angle to encourage write up on them by journalists and not simply put up a media release while passively waiting for something to appear either on printed or online media. Something of a past for scene like this back in 2011? There may be arguments that clubs and FAS with their own social media channels can initiate their own coverage to reach out to their targeted audience. However, let us not forget the constant tweaking of the algorithms by operators like Facebook, as mentioned in this past entry, may not be an effective tool to depend on it. At the end of the day, critical lack of media exposure to enhance the profile of Singapore Premier League will not do any good following its rebranding from the S.League. On this note, being a weekly reader of the only Chinese language broadsheet (Lianhe Zaobao on Thursday, but more for the grocery discount, which is another story for another day), I’m also uncomfortable with their sports coverage. With only 2 pages, it covers more on China sports than that of Singapore, be it the Chinese women volleyball team, Chinese basketball players or others, to name a few. Maybe Lianhe Zaobao should be reminded that they are a Singapore newspaper. Ko Po Hui you have raised a good point. FAS need to venture beyond the mainstream media. On top of my head, several S.League (I insist on calling the competition that) players were from polytechnics and ITEs. There are stories to be told and these student papers are the perfect platform to feature these alumnus.